This material is only intended to introduce the traditional Thai calendar concept. There are many other aspects of information used in Thai language for time terms such as "Moang", "Yam", "Toom", "Tee", or short-term time keeping such as "Yok" (based on coconut water clock) which are not covered here because I am not qualified on the linguistics terms. Please be aware there may be spellings errors of Thai and Pali/Sanskrit words. Chuad (Rat), Chalu (Bull), Khal (Tiger), Toa (Hare), Maroang (Big Snake), Maseng (Little Snake), Mamia (Horse), Mamaae (Goat), Wog (Monkey), Raga (Rooster), Jau (Dog), Goon (Pig). ek (one), to (two), tri (three), jatawa (four), benja (five), cho (six), satawa (seven), attha (eight), noppa (nine), samriti (ten). Then add the word Sok (year). Example, Pi Chuad To Sok is the second Chuad year in the 120-year cycle. = Saka-era = "Large Sakarat." In ancient inscriptions, this time accounting indichen heritage uses. Especially under the influence of the Khmer Empire was the era in the historical Thailand until the middle of the 13th Century AD used. The Saka Era (era) (MS) begins with a Schaka-king, on 17 March 78 AD after a victory in Ujjayin the rule in India six months. 0 Saka = 78 AD. 1. Siam Almanac 2529, Siam Bann Ltd., Bangkok, 1986. 2. Kloy Songbandhit, One Hundred Year Calendar, Silpabannakarn Publishing, 1960. 3. So Sethaputra, New Model Thai-English Dictionary, So Sethaputra Press, 1965. 4. Royal Academy, Thai Dictionary, Aksorncharoentasana Press, 1988. Chantarakati is the way to keep dates by using the Moon's orbital cycle around the Earth. Each cycle is 29 days, 12 hours, 44 minutes. Chantarakati month is therefore 30 days or 29 days alternately for the whole year. Each month begins on Wan Kuen Nueng Kham (first day of the waxing moon). Wan Kuen Sib Ha Kham (day of the full moon) is the middle of the month. Wan Dub is last day of the month which is either Wan Ram 15 Kham or Wan Ram 14 Kham depending on whether that month has 30 or 29 days. Because each month is 30 or 29 days long, the Lunar-year days will be shorter by about 12 days than the actual time the Earth circles the Sun. To be synchronous with the seasonal changes, every two or three years another month is added to Duen Pad (the Eighth month) and called Duen Pad Lung (the latter Eighth month). Such year with two Duen Pads is called ATHIKAMAS. ai (one), yi (two), sam (three), si (four), ha (five), hok (six), jed (seven), pad (eight), kao (nine), sib (ten), sib-ed (eleven), sib-song (twelve). The first month on Prokatimas year (ordinary year) falls in November but in Athikamas year (year with two Duen Pad's) it falls in December. Chantarakati date is stated by the moon-position/lunar-month-name/year-name, for example: Kuen Sib Kham/Duen Sib-ed/Pi Mamia Cho Sok which is 7th October B.E. 2497. If the day is not provided, finding the day in this dating system requires a calendar table. Furthermore, to compensate for the still missing days, every 4 or 5 years another day is added to Duen Jed (the Seventh Month) to make it a 30-day month. This added day is called ATHIKAWARA and cannot occur on Athikamas year. The date system based on solar year which is currently the international date system based on Gregorian Calendar with January 1st as the first day of year. Thailand adopted the solar calendar officially during the reign of King Rama V in B.E. 2431 using April 1 as the first day of year. In B.E. 2483 the government of Field Marshall Pibulsongkram changed the first day of year to January 1, therefore B.E. 2431 and B.E. 2483 are shorter than usual. Last day of a lunar month which is Wan Ram Sib-ha (15) Kham, or Wan Ram Sib-si (14) kham depending on whether that lunar month has 30 or 29 days. Day of the full moon. Buddhist holy day which falls on the 8th, 15th, 23rd, and 29th or 30th day of the lunar month. This is a day of special observance of the Sela and contemplation of Dhamma for Buddhists. Wan Phra occurs 4 times a month on: Wan Kuen Pad (8) Kham, Wan Kuen Sib-ha (15) Kham (Full moon), Wan Ram Pad Kham, and Wan Dub (last day of the lunar month). Day of the full moon and last day of the lunar month (Wan Phen and Wan Dub) when monks recite Phra Patimokha and Buddhists laypeople observe Ubosoth Sela (the 8 precepts). The day when the sun enters Aries; reckoned according to the Old Indian Solar Calendar to fall on April 13 through 15. Day of the week named by counting Sunday as 1, Monday as 2, and so on. The waxing moon; the period from new moon to full moon. 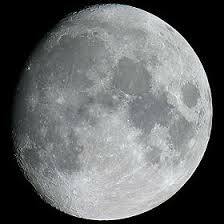 The waning moon; the period from full moon to new moon. Ordinary month, ie. not the extra month (second Duen Pad). Year with Prokatimas has just 12 months. Ordinary day, ie. not the extra day added to Duen Jed. Year with Prokatiwara has 29 days in Duen Jed. Ordianary February with 28 days. Extra lunar month added as the second Duen Pad to keep lunar year in synchrony with the solar year. Lunar year with Athikamas has 13 months and occur every 2 or 3 years. Extra day added to Duen Jed to compensate for the missing hours each year. Lunar year with Athikawara has 30 days in Duen Jed and occur every 4 or 5 years (not in Athikamas year). February with 29 days to compensate for the missing hours each year in solar year. Year with Athikasuratin (leap year) occurs every 4 years, except in the last year of the A.D. century that is not divisible by 400, ie. A.D. 2000 would be an Athikasuratin year but A.D.2100 is not. The year of the passing of Lord Buddha is counted as B.E. 1. Therefore the new year is Wan Ram nueng Kham, Duen hok, the day AFTER Visakapuja Day. King Rama V changed the new year day to April 1 starting after March 31, 2431. Later the new year was changed to January 1 starting after December 31, 2483.
lendar system keeps the season in step with the months. There are two major western calendar developments. Julius Caesar improved the older lunar calendar which has gone three months out of step with the actual season. Julius Caesar decreed a year with 365 days and every 4 years a day is added to February to make it 30 days. This system began in B.E. 497. The new year is on January 1. Each month has alternately 31 and 30 days except February with 29 days. Roman Emperor Augustus further adapted the Egyptian lunar calendar to the Julian calendar and reduce February to 28 days. The removed day is added to the month now called "August" to make it 31 days instead of 30 days. Although Julian calendar is practical, it is not accurate enough with 365.2 days a year. The errors will accumulate to about 1 day every 128 years. In B.E. 2125, Pope Gregory 33rd of Rome improved upon the Julian calendar the rule to provide for leap year every four years except at the of the century A.D. that is not divisible by 400. This means that A.D. such as 1600, and 2000 are leap years where 1700 and 2100 is not. This system is a lot more accurate with each year averaging 365 days, 5 hours, 49 minutes, and 12 seconds which is only about 23 seconds off per year. It takes 3,323 years to be off by 1 day. Gregorian calendar was used from October 5, B.E. 2125 onward. The date was compensated for past errors to be October 15, B.E. 2125. It is the current internationally accepted calendar system.